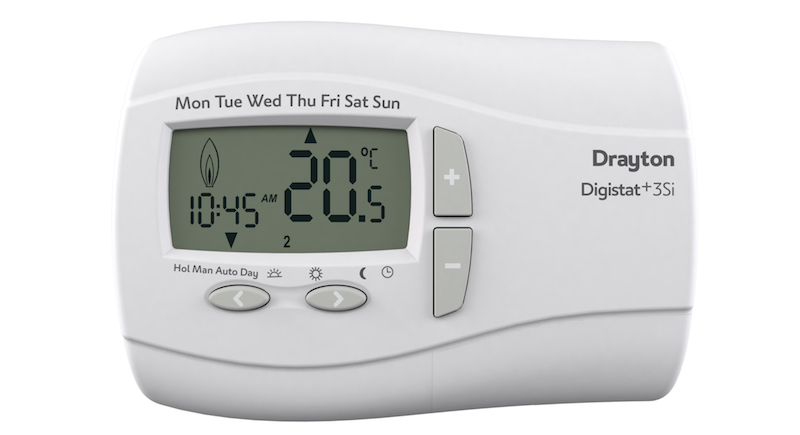 With the aim of meeting the needs of local authorities, Drayton has introduced a new range of its Digistat programmable thermostats with a Service Interval feature. The new versions will be available on Digistat+2 and Digistat+3, in both hard wired (mains and battery) and RF versions. The service interval mode offers three options and adjustable warning/service periods – reduced comfort setting, completely off setting and no effect setting. Also included is a selectable audible alarm and boost feature.